Your hunt for a competitive car loan or lease can finally end when you visit the car finance center at Rockwall CDJR! Here at our dealership, we provide a range of financial services, all with our customers being the main priority. If you live near Lavon, Fate, or Heath, we’re excited to show you exactly how we can help you! Learn more about our services below—and feel free to give us a call if you have any questions! When it comes to financing a Chrysler, Dodge, Jeep, and Ram car, there’s no denying that the approach a dealership makes can make or break you. It’s important to create an environment of open trust, where everything is on the table for you to see—and that’s exactly the philosophy we have here at our car finance center. Car finance is a complex process that involves all kinds of moving parts, but that’s no reason to keep you in the dark. We’ll make sure you have a clear understanding of every step along the way and that you’re fully aware of all your options. Choosing a car loan or lease plan is a major decision that will affect your life for at least a few years to come. So, we want you to feel confident that you’ve made the right choice the first time around. The more information you have, the more likely you’ll be set up for success when you take out a loan or sign a lease. At our dealer, we understand that every driver is different, and that’s why we think it pays to learn more about every one of customers, so we can better understand their lifestyle and match them with the ideal lease or car loan for them. Whatever term rate or payment rate you’re looking for, we’ll work with you to find the best possible match. If you need a car loan, you can start by applying for pre-approval. It’s quick, easy, and you don’t even need to come into the center: Just fill out the secure form on our website. When you’re finished and your request has been reviewed, someone from our center will be in touch! We have several handy tools to help you plan your car loan, right from the comfort of your home or office. You can start by calculating the value of your trade-in with our Vehicle Valuation tool. Simply enter some key information about your car (year, model, mileage, and VIN if you have it) and get it appraised quickly. Then, you can use that figure to help you estimate your monthly payments with our Payment Calculator. 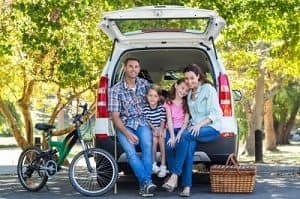 When you factor in the vehicle price, down payment, and your desired loan term or interest rate, you’ll have an idea of what you’d be paying month to month and if you can secure a car loan on those conditions. Car financing is a world unto its own, and we’ve barely scraped the surface here. If you live in or around Lavon, Fate, or Heath and want to discuss financing with a highly trained professional, we’d love to hear from you! 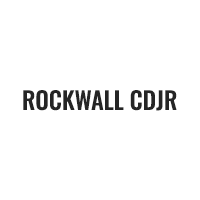 Contact us at Rockwall CDJR and set up an appointment. We’re happy to sit down with you and help you learn more about what we do, as well as your options when you finance through us!